Many people don't realize that implementing a consistent and effective cleaning routine can greatly reduce, or eliminate, the need for more costly home & office maintenance remedies. Bugs and rodents are attracted to bits of food and candy that are not cleaned up. Whether it be under a desk or under a bed, these pesky pests can zero in on the smallest of crumbs and invite their friends and families over for a good ole time. 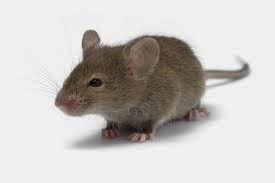 Left unattended, these pests can quickly grow out of control in which only an expensive pest control program can eradicate. However, if you have a consistent and effective cleaning routine, whether that be by you or a hired professional like Clean Right Co., you can completely avoid this hassle by keeping the crumbs and candy from ever attracting these buggers. Mold and Mildew are nasty little things. They grow in moist conditions so our bathrooms are a perfect breeding ground for them. Once they take route, usually in grout and calking, they can be near impossible to get rid of without having to re-grout or re-calk. 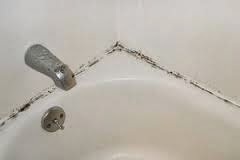 However, if you keep your shower grout and calking clean and use a proper disinfecting routine, you'll never have to worry about that dark growth. Don't wanna scrub your tub? Then let us do it! Visit Clean Right Co for more information about our services. Getting our carpets cleaned seems a luxury to some but it is actually a necessity. 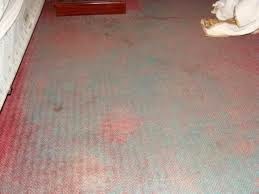 By not properly maintaining your carpet, with professional carpet cleaning, your carpet will quickly become worn & torn and eventually, will need replaced. Prolong the life of your carpets by having them professionally cleaned at least once per year. (However twice per year is recommended.) Don't have a trusted carpet cleaning professional? Well you do now! Visit Clean Right Co for more information. Routine window cleaning is important to the longevity of your windows. And let's face it, windows are not cheap! Good quality windows are one of the biggest expenses to a home yet they provide many energy saving functions. So don't just ignore them! 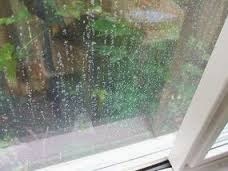 Windows that aren't cleaned routinely will develop hard water stains which, not only effect your ability to see out them, but also effects their ability to be energy efficient. Along with that, the seals of the windows will begin to fail as water can do major damage to any surface (think Grand Canyon). Keeping your windows clean will keep them performing for many, many years. Let us help you see the light (literally and figuratively)! Visit our website for details. So have I convinced you that having a good cleaning routine is worth it's weight in gold? I sure hope so. If you find it hard to keep up on these routine tasks don't be embarrassed. Call your local professional cleaning service and get these tasks scheduled. The price you pay for the cleaning will pay for itself in the longevity of your home or office. ~Erica Jensen, President Clean Right Co.
Visit us at Clean Right Co for your Free Estimate on cleaning of your home or office. *Servicing Spokane and surrounding areas.